The third annual oikos Meeting for Central and Eastern Europe stirred up a discussion about the world’s current food systems. Set in Prague, the beautiful and ancient capital of the Czech Republic, the CEE Meeting 2014 was called "Food(Re)Cycle." 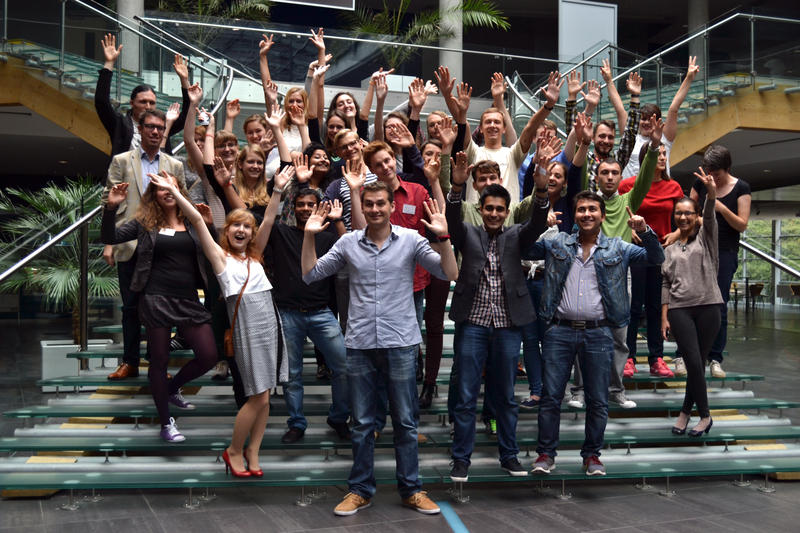 The meeting gathered oikees across Europe and Asia to debate challenges of food production as well as consumption. 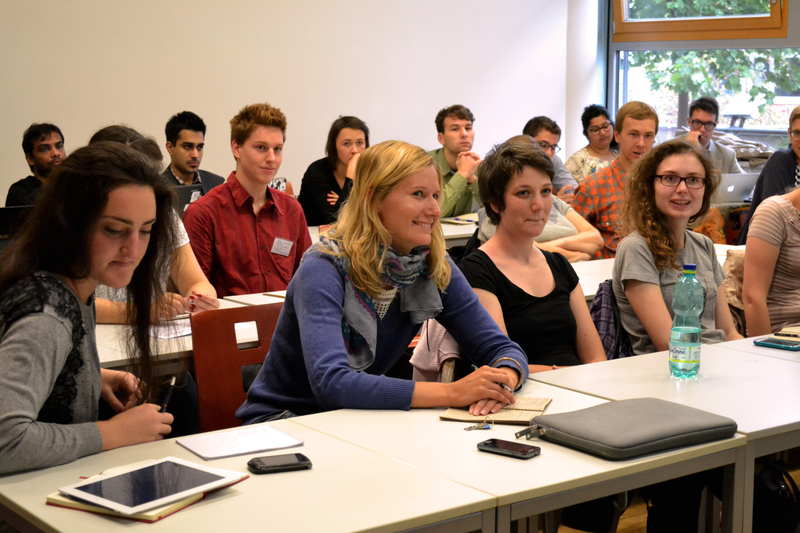 The Prague Chapter had prepared a four-day program full of lectures with experts, inspiring seminars, as well as delicious food. 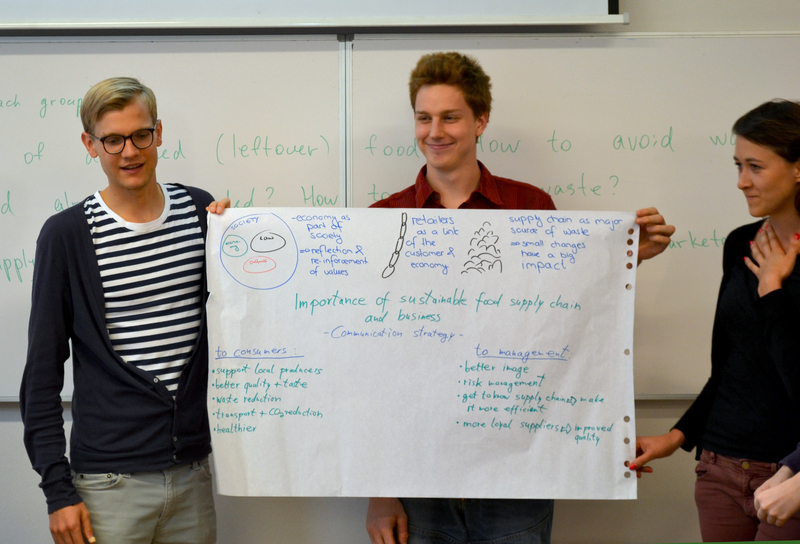 Participants had the opportunity to dive into topics such as sustainable agriculture, issues of meat and palm oil production, habits of a responsible consumer and a talk with a dumpster diver from Vienna. The CEE Meeting was kicked off on September 10th by the oikos International president, Lenka Parkánová, recalling her Czech origins followed by oikos Prague President, Marie Horniecká, who contemplated about the economy without food. After welcoming the participants in Prague, the rest of the day was devoted to the topic of palm oil with focus on biodiversity loss. The attendants were moved over the documentary shown as it highlighted all the hardships faced by the people of Indonesia. The documentary showed relevant statistical figures comparing the virgin green rainforest cover that was lost due excessive clearance of land for planting palm oil in the recent use. During the presentations by Lestari, the importance of a people as consumers was stressed upon. The first day successfully ended with a dinner hosted by Countrylife, a Prague chain of restaurants selling local, organic, vegan food and products. What trip to Prague would it be if we had not visited a traditional Czech brewery! Indeed, we broke the ice in “The Hollow” drawing a vast range of incredible Czech beer brands (always cheaper than water). Throughout the whole conference, participants got the opportunity to widen horizons in different aspects related to food production and consumption and the subsequent consequences on the environment mainly the biodiversity and even the people. The participants were enlightened about how food banks help people in need through redistributing food and how we, as consumers, can contribute to more efficient food systems. A passionate dumpster diver living in Vienna shared her story about living on left-over food. Finally, Tesco’s CR Manager presented their strategy of responsible supply chain. Moreover, oikos members took part as speakers showing their successful urban gardening projects together with oikos Pune’s astonishing comparison between food consumption in India and developed countries. Addressing the issue of food waste and unsustainable food systems; vegan and vegetarian food from local resources was mainly served in order to lower the conference carbon and water footprint. 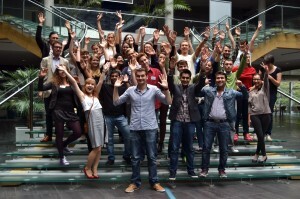 Moreover, our homemade coffee breaks met the greatest success amongst participants. After the official closing on Friday, the CEE Meeting continued on Saturday the 13th of September with a special tour around Prague guided by homeless people. It was one thing to see Prague as a tourist but with tour guided by the homeless people of Prague showed the participants a different side to Prague. This made the participants bond much deeper with the city than they had asked for. In the afternoon Prague Chapter members joined chefs from Pune to cook the very last dinner. 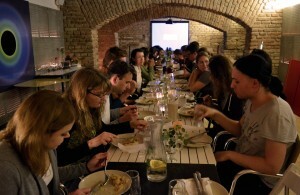 We spent a wonderful time together in a cosy and friendly atmosphere embracing the idea of the Food(Re)Cycle. Finally, oikos Prague would like to highlight the main partner of the CEE Meeting, Heinrich Böll Stiftung . Our guest, Christine Chemnitz, is the chief editor of the Meat Atlas, an amazing educative publication about the consumption and production of meat around the world which is accessible online and to be shared for free. 1) Sharing what we learned at the meeting - I have already done is several times since I came back (Meat Atlas, Dumpster Diving...). 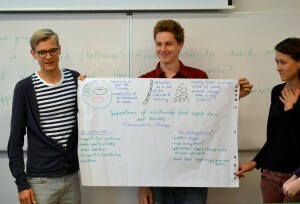 2) Approach university mensa and ask about food waste prevention and management. Do the same in the shops. 3) Let the shops know that we as consumers care about the issue of palm oil. 4) Making a friend of mine finish the meal I could not finish.